Many of us are so busy that we hardly have time to look at our loved ones or even to look at ourselves. Even when we have some leisure time, we do not know how to use it to get back in touch with ourselves. We lose much of this precious time when we turn on the TV, pick up the telephone, go shopping, go for holiday, start the car and go somewhere, etc. Our lives are just like balloons, some go with a "pop" while others shrink and wither away, often resulting in shock and disappointment. Life is unpredictable. Have you ever thought of the necessity of making a Will? Are you concerned about the livelihood of your loved ones when you are not around to take care of them anymore? "Generally, if you are 21 years and of sound mind, you may make your own Will and change it at any time during your life. But your beneficiaries may suffer unnecessary expense and distress if it turns out that your home-made Will is ineffective or invalid. It is therefore in your interest to consult a lawyer who would be in a better position to advise you and draft your Will for you." 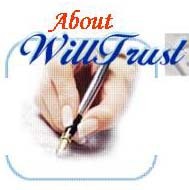 "If you are concerned about the cost of making a Will, discuss this with your lawyer at the outset. You could ask your lawyer for an estimate of the costs involved before instructing him." With the kind permission of Mr Tan Siak Hee, we extracted some materials on Will/Estate from SingaporeLawFAQ.com. These materials should not be construed to be formal legal advice. You are strongly advised to consult your own lawyers for advice regarding your individual legal issues. Where to seek Free Legal Counselling? Please click here to refer to the listing of free legal clinics.